Product prices and availability are accurate as of 2019-04-17 13:52:02 UTC and are subject to change. Any price and availability information displayed on http://www.amazon.com/ at the time of purchase will apply to the purchase of this product. This Garrison PTAC air conditioner uses R-410A refrigerant to cool and heat rooms measuring 450 to 550 sq. ft. Specifications Cooling Performance (BTU/HR): 12,000/11,800 Heating Performance (BTU/HR): 10,900/8,900 EER: 10.7 Voltage: 230/208 VAC NEMA Plug Configuration: 6-20P Height: 16-1/8' Width: 42 Depth: 23-1/8 Weight: 116lbs. Dehumidification Rate (PT/HR): 2.5 Power plug included with unit Eco-Friendly Using this air conditioner is better for the environment. It meets UL-US and cUL certification standards. 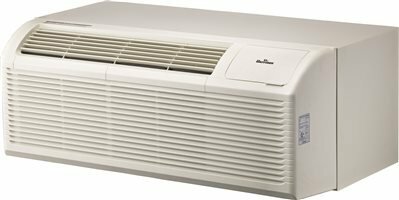 Warranty Information Included with this air conditioner are 2 limited warranties. There is a 1-year limited warranty on the entire unit and a 5-year limited warranty on the units sealed system.